Good morning 💗 & Happy Labor Day! Today's 20 minute AMRAP (As Many Rounds As Possible) is using a set of dumbbells! Choose a weight that is challenging enough but will let you push through for 20 minutes. You have 12 Plank Rows, 12 Thrusters, 12 Bent Over Flys, then leave the weights & run for 2 minutes! Adding in the resistance piece this week should be fun 💪🏼💪🏼! Let us know how it goes! XO L&C. We hope you guys are having a great week! 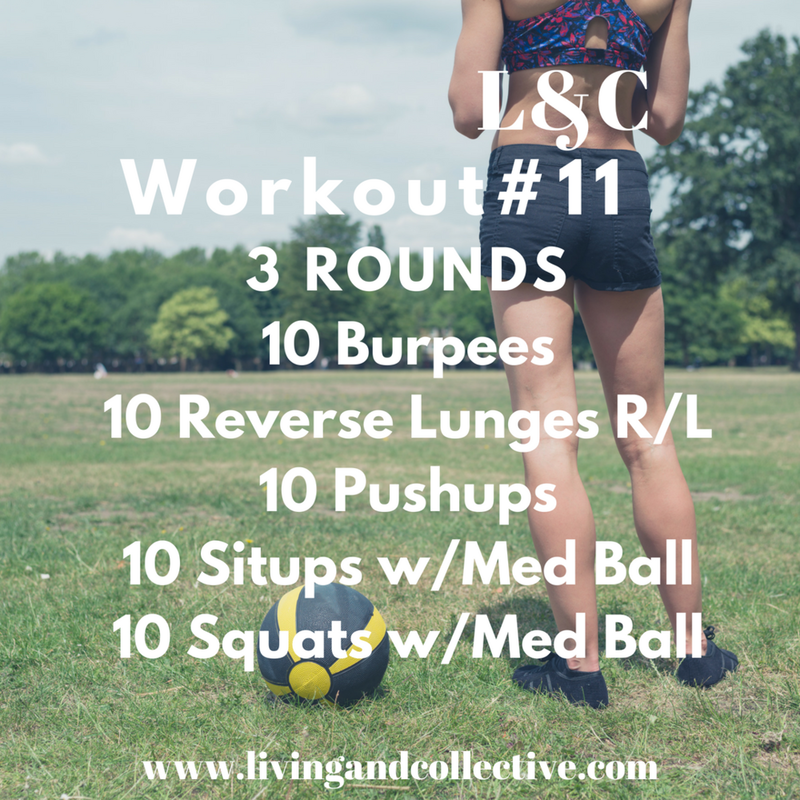 This week's workout will challenge you with running and a bit of a higher rep count. Try and pace yourself but keep moving! 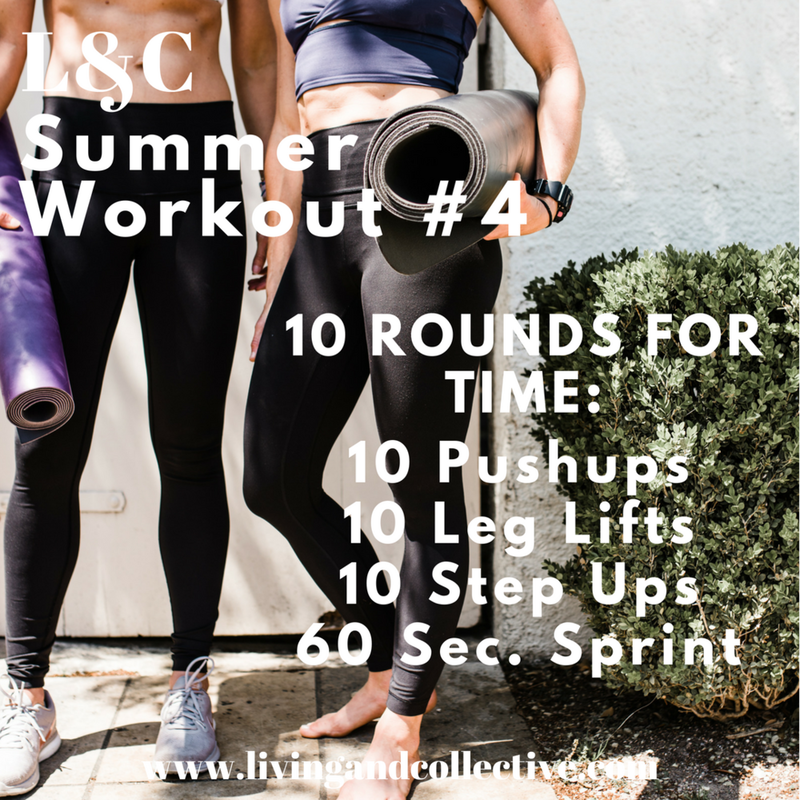 You will head out for a 10 minute run, then into squats, pushups, sit-ups, more pushups, and more squats. You will complete the workout with a final 10 minute run. Time yourself, record it, and then try it again next month. It is always fun to see your progress! Let us know how it went for you and don't forget to check out our AUGUST playlist on spotify!! Hey, hey & happy Monday!! This week we have a classic workout for you to test your "baseline"--this one is used a lot in the Crossfit setting but the beauty of this workout is that it can be used ANYwhere & it will test your skills & strength, & give you a chance to retest in a month or so & see how you've progressed. So make sure you grab a timer, put on some motivating music & push yourself to see how fast you can complete these movements. If you can't do pull-ups you can sub "jumping pull-ups" or swap the pull-ups out for something like burpees. Make sure you write down what you do so you use the same movement when you retest. Go get it! . 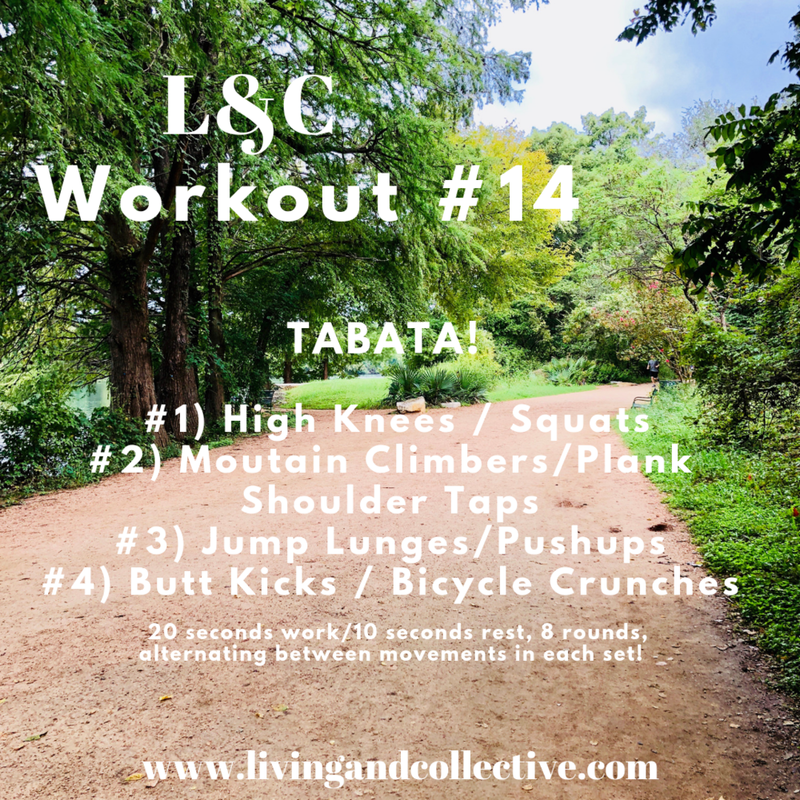 Hey, hey its motivation monday & we have another L&C workout you can do anywhere! 21 Minute EMOM (Every Minute on the Minute) rotating movements between burpees, situps & planks! Let us know how it goes & keep your body feeling awesome even on vacay! XO Check out our JUNE workout playlist on Spotify for some extra motivation! Hey Ladies! 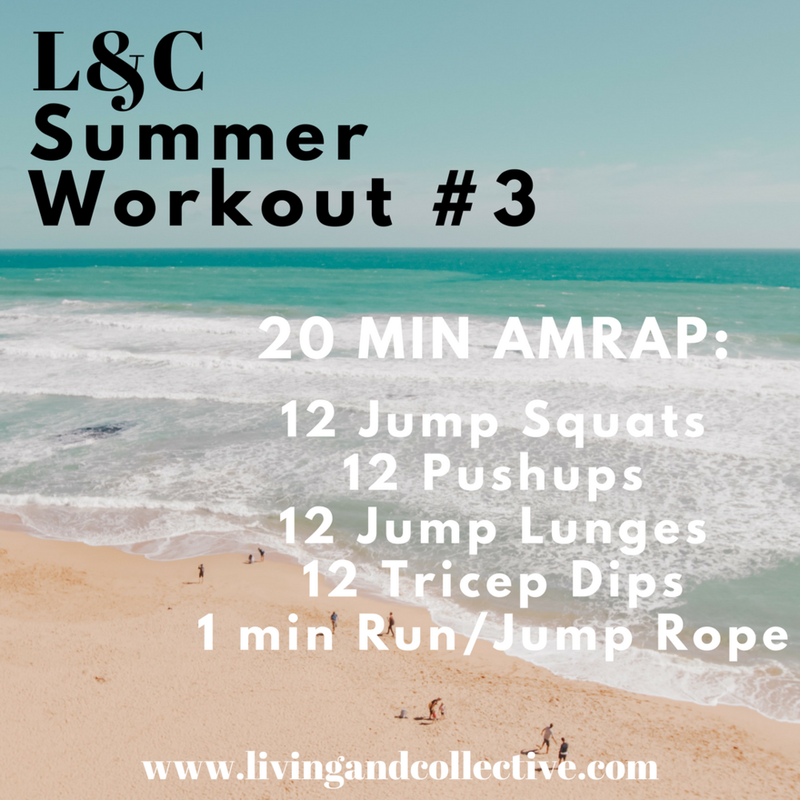 Let's get moving...here's a super simple workout you can do at home, at the hotel, on the beach, anywhere you can take your body! 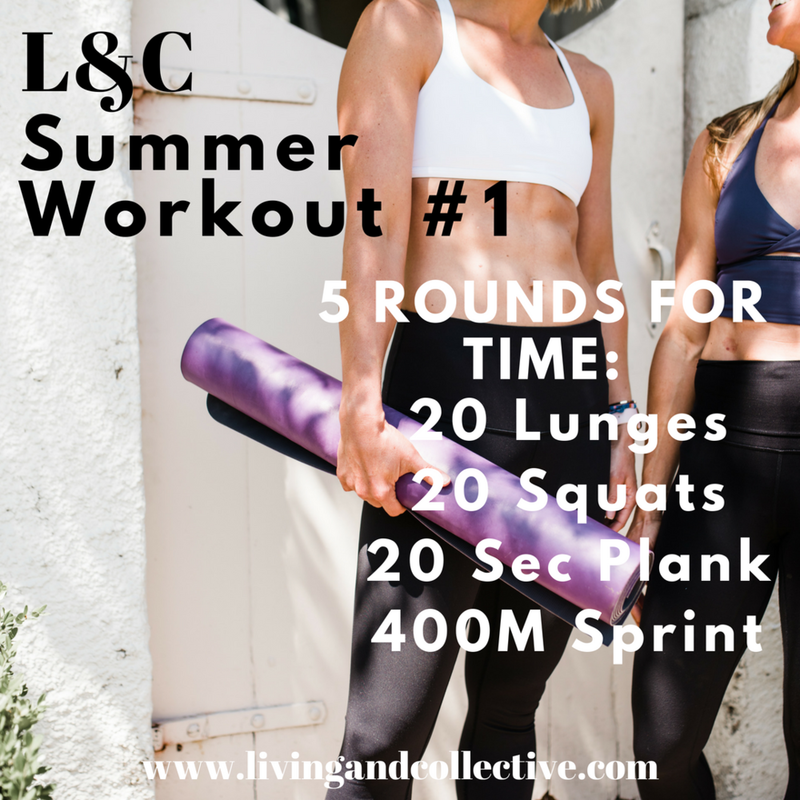 Make it fun, drink plenty of water & crank up the beat---you can find ourJUNE workout playlist on Spotify!! !